If you thought that the most popular colours for perfume names would be Gold and Black, you would be mistaken. The most favoured perfume names are White, followed by Black, with Red and Blue, taking precedence over Gold. So what makes the names Black and Gold so descriptive, in our world of perfumes? I would say, it is because "Black" has all absorbing power, whilst "Gold" emits power and radiance. What synenergies are released, when these two contrasting colours confront each other? Today, I introduce two perfumes named Gold, Black, Gold and Black. Or et Noir, Gold and Black, the colours never merge into one. 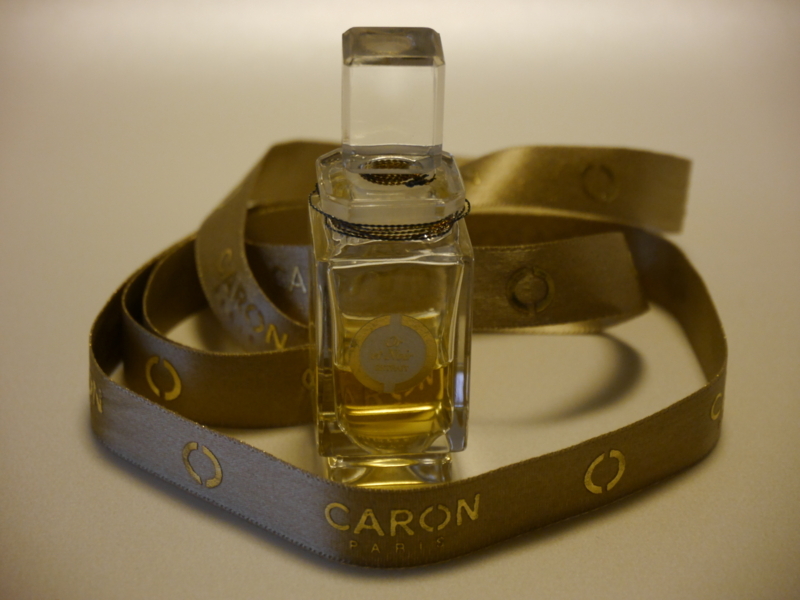 Caron is one of the great perfumeries, which has placed many masterpieces into the history book of perfume, like "Narcisse Noir" and "Fleurs de Rocaille"
"Or et Noir" (1949) was created by Michel Morsetti, the second in-house perfumer of Caron, and was based on a formula note left bt Ernest Daltroff (1867-1941) being the original founder of Caron in 1903. Or et Noir means "Gold and Black in French, and it certainly lives up to it's name, as it is a most dense Chypre Rose, an aroma loved by the House of Caron. "Or et Noir" skillfully presents the brightest beam of Golden Light, together with the deepest "Bible Black" shadow. It prefectly creates the image of a velvety Dark Red Rose, in full bloom, with the scents of the sharp Bulgarian Rose, deep Oak Moss, and spicy Carnation. 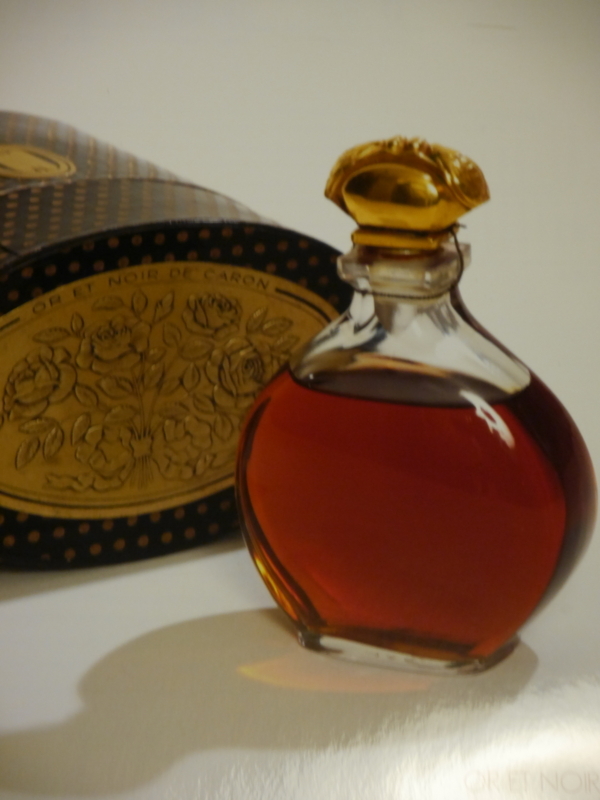 Felicie Vanpouille, the in-house bottle designer (and Daltroff's lifetime partner) insisted on on the most precious ingredients for "Or et Noir" she even launched the perfume, as pouring into a gorgeous Bacarrat bottle, ornately gilded with gold leaf! After moving from the Rue de la Paix to Avenue Montaigne during the late 1980s Caron reorganised their legendary fragrances such as Or et Noir, as a series of "Les Fontaines" ( dubbed Haute Perfumerie) which is sold exclusively at Caron Boutiques and retailed in the Crystal Urn, and the small decant bottle. The bottle shown in picture 2, is my own Or et Noir decant, bought at their Parisian Boutique eight years ago. Never having the chance to go to Paris, and before their entry into on-line shopping, I ordered it by telephone as an international customer, quite a protracted purchase! I first sent my order via email to Caron Montaigne, I then received the price, including Colissimo (French courier service). 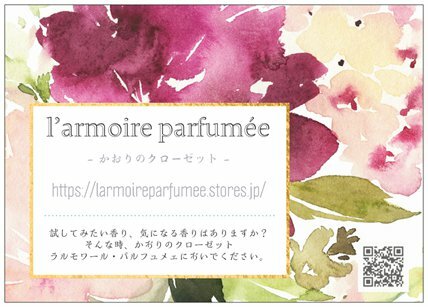 After the sale was confirmed, I phoned Caron, giving them my order "Or et Noir 15ml" also my credit card details. I was so delighted, when I received the parcel from Caron, several days later. Sadly, the star "Or et Noir" has recently, been discontinued, in spite of it being the Power behind the Caron Throne. 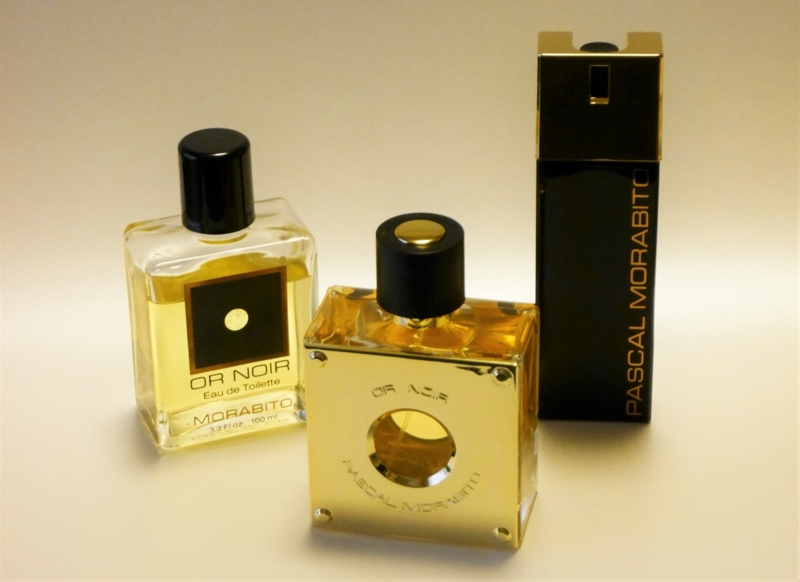 Pascal Morabito, the French multitalented designer, producer of futuristic Jewelry, Liquor Bottles, Hotel Cosmetics, and more, launched his first ladies fragrance called "Or Noir" in 1980, which was sold exclusively at his Paris Boutique, and also online. A year later, "Or Black" was launched as a partner fragrance to Or Noir. You may find vintage bottles of each, at online auction sites, probably at premire prices, as this pair are highly regarded, as hidden masterpieces by Perfume Connoisseurs. At one time, for some reason, a Japanese car importer also sold Or noir in Japan, a rather odd combination? Incidentally, Pascal Morabito, has no connection with the prestigious Bag Maker, Morabito. "Or Noir" is classified as a buoyant metallic rosy fragrance, which reminds me of countless golden sequins, embellishing glossy black satin, turning into a sea of metallic illumination. Starting with a suggestion of Green-ish Rose, it's lifted with some pollen like, oily Aldehyde, then gradually moves to Creamy Scent, like that of a nostalgic European Cosmetic (which was incredibly fragranced in those days) It speaks to me of the soft feminity of the late 1960s, which always remembered Motherhood, rather than the phrase "Floral Oriental Fragrance, especially for urban sophisicated women" which was the official description for Or Noir during the 1980s. Having said this, Or Noir has changed lately. 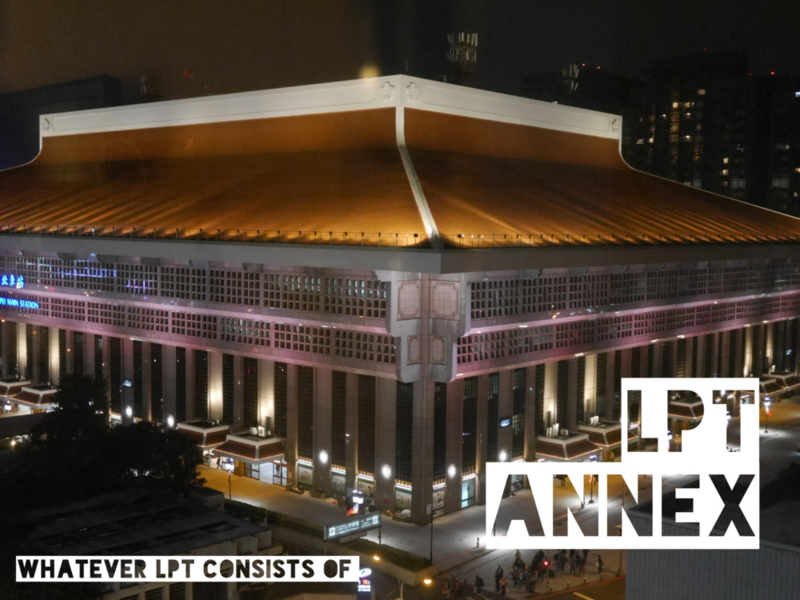 it has become more crispy, metallic, and less creamy. I once asked Teo Morabito, the chief promoter, and web designer, of Pascal Morabito (Teo is Pascal's second son) about this fragrance change, he replied that "The new scent smells exactly the same, and follows today's legislations" We accept that it is the inevitable destiny for our classic perfumes to suffer changes, due to the regulations regarding allergies etc, but I feel that this Retro Modern fragrance, having an overdose of natural Tree Moss, still deserves to live on. The Key note of both perfumes, of "Gold and "Black" which I have introduced, is Rose. Incidentally, when next you wear them, ask the scent a lovely question "Where is Gold for you? and how about Black? It will surely whisper it's answer.